LARRY LAMB, PHIL DAVIS AND MARION BAILEY MEET WITH INVESTORS. 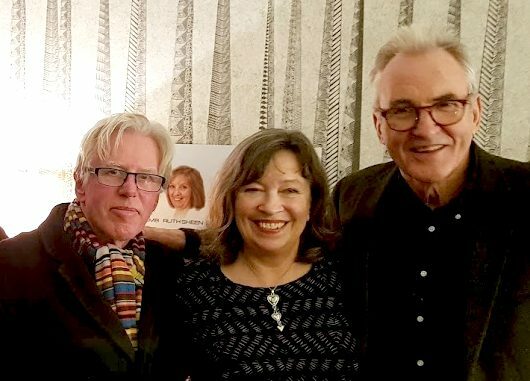 Larry Lamb, Phil Davis and Marion Bailey meet with Red Rock Entertainment investors at the Soho Hotel. The investors were delighted to mingle and take pictures with the stars as they shared stories about life on set on their up coming film Brighton. Filming will commence in the new year on location in Brighton and Eastbourne. The film follows two older couples from the East End of London who travel to Brighton having not visited the seaside town in more than 30 years. There, they reflect on how times have changed, with the film taking in their memories across the 1940s, 50s and 80s. PreviousBold, female-fronted western The Stolen Movie is now available in over 30 countries. NextGuardian Review of Await Further Instructions.